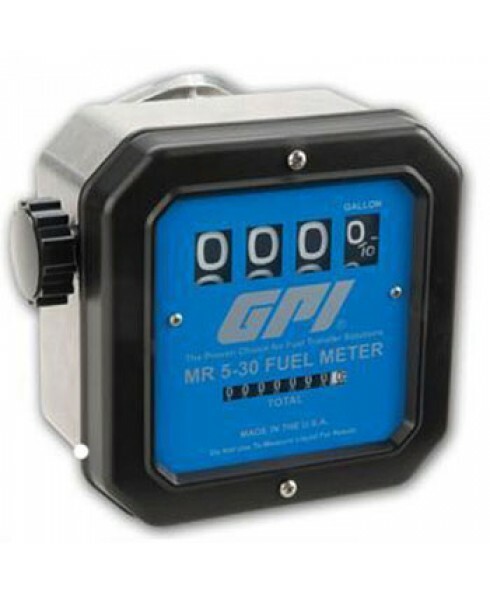 GPI aluminum MR-5-30-G8N 126300-03 Mechanical Fuel Meter is designed for high volume petroleum fuels. Easy-to-Read 4-digit display with turn knob reset reads flow range between 5 to 30 GPM. 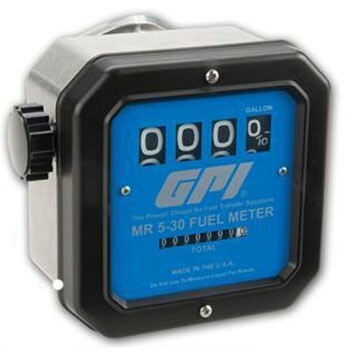 This GPI meter calibrates fuel flow in gallons and comes standard with 1 inch NPT inlet / outlet.